STRUTHERS, Ohio (WKBN) – The Purple Cat is working with local youth groups to raise money for people with physical and mental disabilities, and to show them a good time. They hosted the annual Purple Cat Prom at St. Nicholas Parish in Struthers Friday night. About 40 kids from a few church youth groups in the area volunteered to help with the event. Purple Cat came up with the Candy Land theme. Shanice Saint-Thomas, of Youngstown, said volunteering is rewarding. 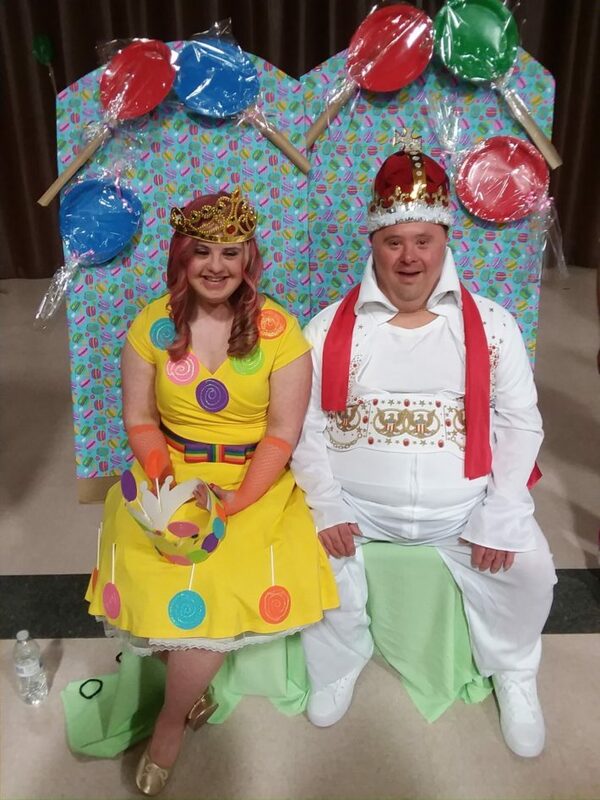 Of course, with every prom, there is a king and queen. This year, it was Walter Mootz and Deanna Lucido. Money raised from the event will go toward the Purple Cat’s nonprofit.